Spring is right around the corner. 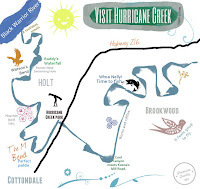 With that comes a floral color display on Hurricane Creek matched that is in few places on Earth. 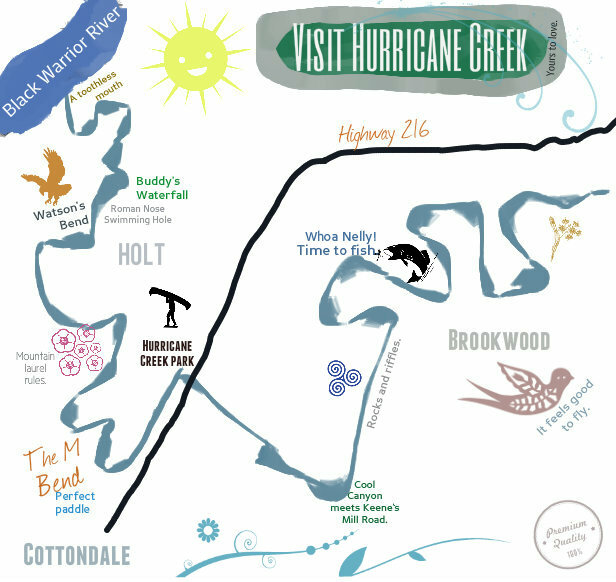 Geologically, Hurricane Creek is interesting because it, like the rest of Tuscaloosa, is on the edge of Alabama’s fall line — the boundary between the older Appalachian ridge and valley area around Birmingham, and the Coastal Plain formed from an ancient seabed. Environmentalists and biologists have been particularly enthralled by plants and animals that live in and along the creek. “One of the last major streams above the fall line, Hurricane Creek is a smorgasbord of biodiversity for flora and fauna and a pristine example of what one will find anywhere throughout the southernmost part of the Appalachian Mountains,” wrote Randy Mecredy, director of the Alabama Museum of Natural History.